This week started amazing for me with a great present from my boyfriend : a BOSCH mixer that I was dreaming about for a couple of months now – picture below. And because I’ve receive this amazing gift I had to try it no ? 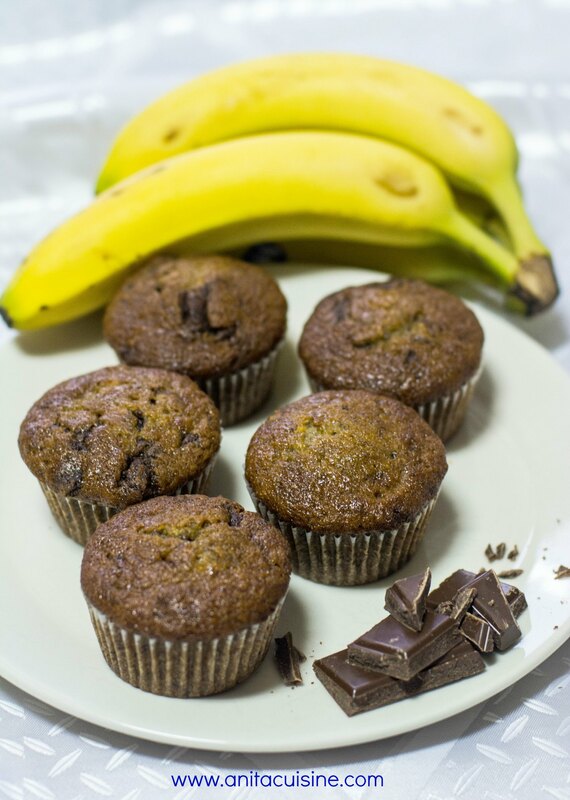 I wanted to prepare something quick ans easy and I picked this Banana and chocolate chip muffins recipe because I thought that it’s basically the banana bread turned into amazing and cute muffins.